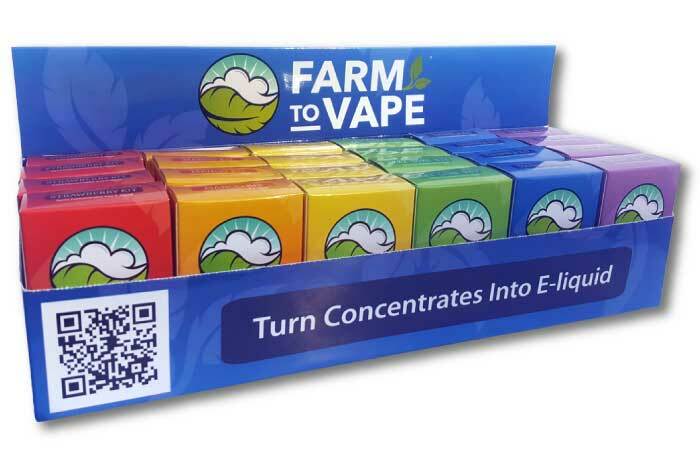 Turn Wax into E Liquid, Shatter into E Juice and Other Herbal Concentrates into Vape Oil with Farm to Vape.
? Your browser does not support the video tag. 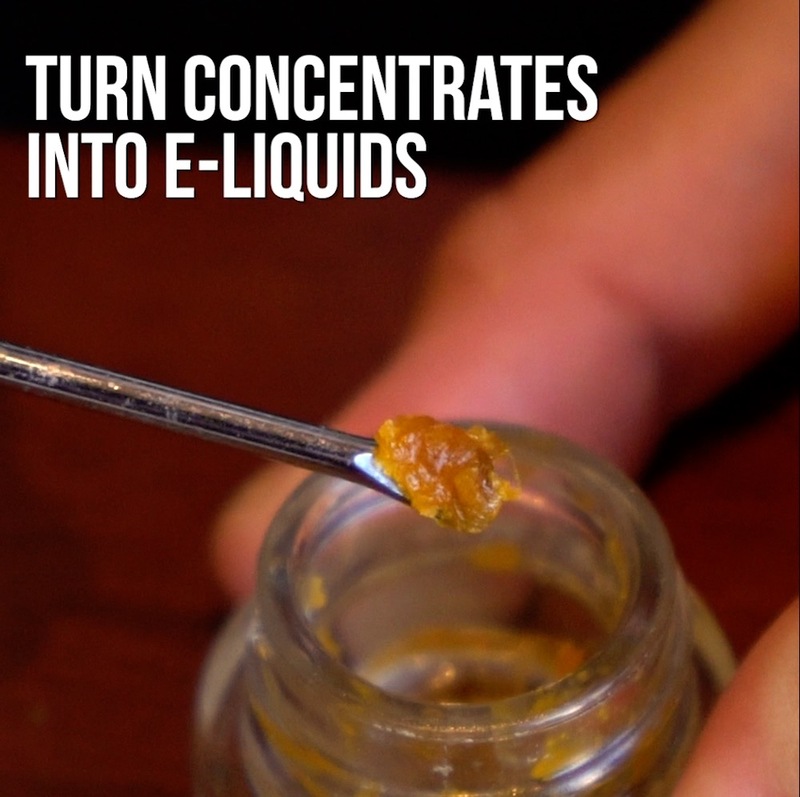 Our revolutionary dropper boil method turns your wax into e liquid in three minutes! 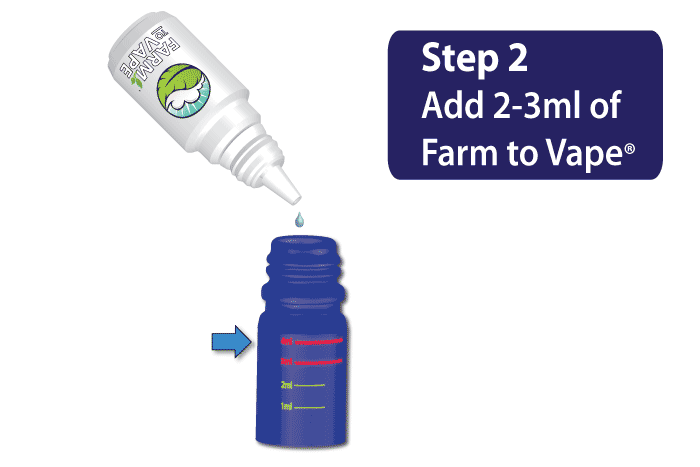 There's no PG or VG in Farm to Vape, therefore it will never separate from your mix. 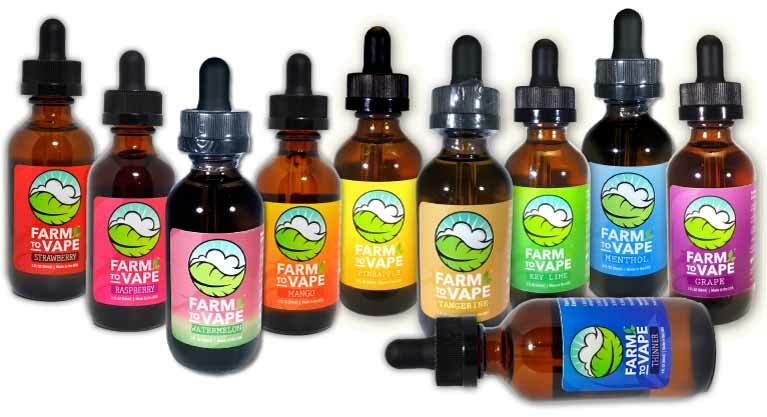 Vape what you want, when you want, with Farm to Vape! 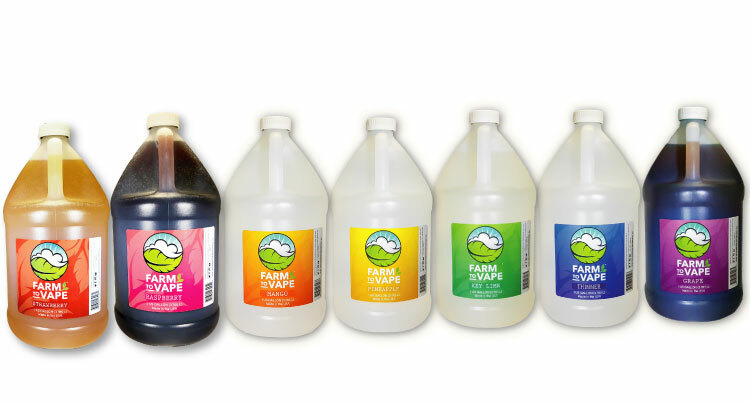 Turn your favorite legal wax into e liquid or shatter into e juice with Farm to Vape. 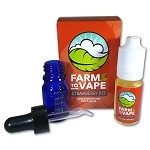 BHO, crumbles, distillates, isolates and other herbal concentrates turn into a discreet and stable vape oil mix with Farm to Vape that you can take with you wherever you go. Make your own CBD vape juice and save. 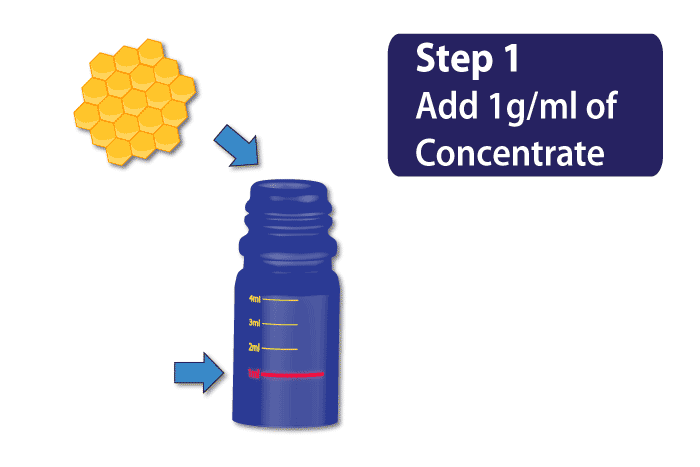 Our proprietary e liquid was formulated to match the molecular weight of the active ingredients in all the various forms of herbal concentrates. It takes less than five minutes to create a flavorful and stable vape oil / e juice mix that you can use to fill any cartridge, sub-ohm tank or atomizer. 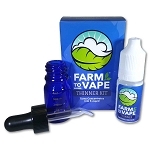 The Farm to Vape Thinner e juice kit comes with all you need to vape herbal concentrates: a 10-ml bottle of Farm to Vape Thinner (Flavored or Un-Flavored) and a boilable dropper bottle (Can be boiled and has a dropper in the lid). 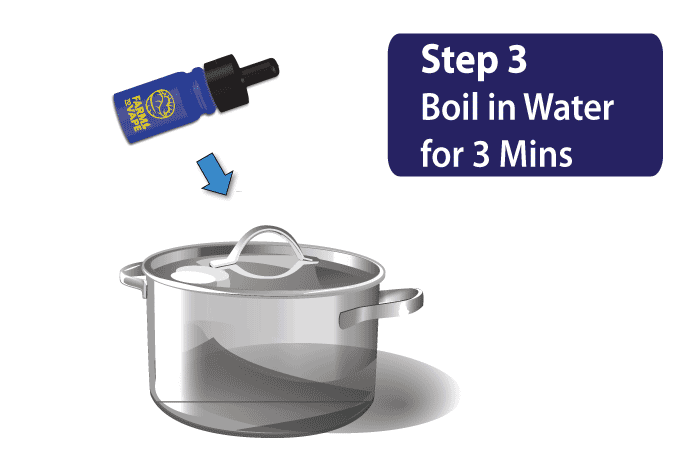 Place your favorite concentrate into the boilable dropper bottle, add your choice of Thinner, secure the lid and boil for three minutes. Then shake well and use the included dropper to easily fill your cartridge or sub-ohm tank, or drop directly on a rebuildable drip atomizer (RDA). Check out our videos, instructions, FAQs and blog for more information on how to turn wax into ejuice. 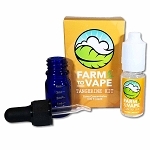 The Farm to Vape wax to e juice kits are going to save you money while giving you convenience. 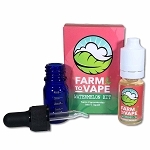 Load your legal Thc vape juice made from Farm to Vape and your concentrate into any standard vape pen and take it on the go wherever life takes you. Our clear flavorless Thinner allows you to taste your favorite concentrates. Our flavored Thinners give you the opportunity to enhance your concentrates flavor profile with our all natural flavors while further reducing and masking the odor for those around you. We have found quite a following in the legal MMJ community as patients can use Farm to Vape products to dial in the medicinal properties of their favorite herbal concentrates with much more ease than traditional wax vape pens and enails. 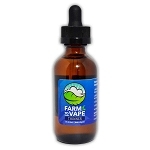 Farm to Vape products do not contain nicotine, PG or VG. Our proprietary blend uses only the finest medical grade Polyethylene Glycols (PEG) and all natural flavors skillfully blended and bottled in the U.S.A.